I wanted to become a thought leader and for several years I was waiting for the day for someone to come up to me and tell me it was time to become one. No one ever showed up and said Cayla it is your time to become a thought leader. I saw all these people around me in the space doing what I wanted to do and thinking what do I need to do to get there and I finally realized I just needed to show up, so I did. As part of my series on the “5 Things You Need To Know To Write A Bestselling Book” I had the pleasure of interviewing bestselling author Calya Craft. 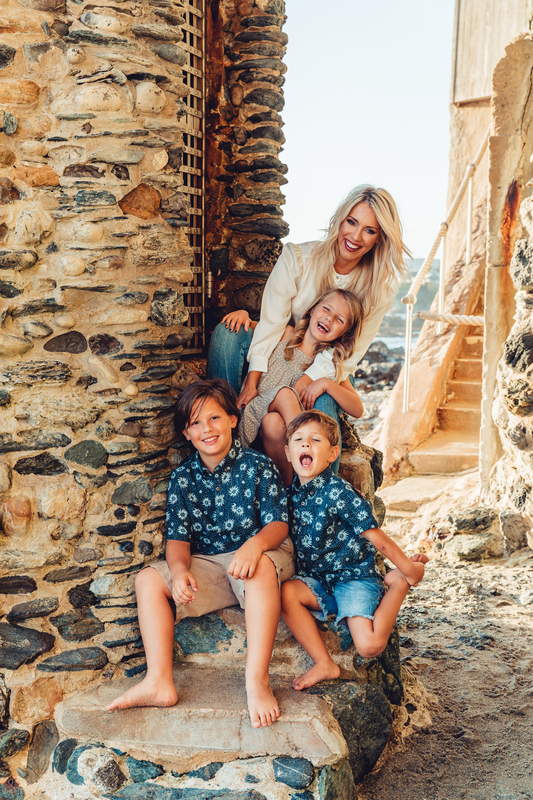 Cayla Craft is the Host of Mommy Millionaire Podcast, mom of three, a self-made Millionaire, best-selling author and a lifestyle entrepreneur. As a California native, she went from saving lives as a nurse in the ER working from 9–5 to helping women pursue a passion for owning their own business. Her first taste of success began when she created an organization of 60k+ people for Isagenix, a company that sells health and wellness supplements. Using that business-building knowledge as a foundation, she branched out as a Business Strategist and found incomparable satisfaction from helping others achieve success. – I was 23 years old working as an ER nurse and I found myself trying to be an entrepreneur but I didn’t have the discipline to take the action necessary to become successful. I had to learn how to lead myself every single day if I wanted to influence the people around me. What I found is that, most people are a slave to their habits so we can either choose to become a slave to good habits or stay a slave to old habits. That led me on a journey to have a disciplined lifestyle. I invested in major amounts of personal development through coaching, events, and masterminds to find out how successful people lead themselves. What I found from becoming disciplined was more confidence, more opportunities, and the feeling of being unstoppable. For years, people asked me how I did it so I finally decided to write a short version of how I did it. It was exciting to celebrate that so many people have already said how much this book has changed their lives already. It is extremely fulfilling to know I’m helping so many people. When I first received the proofs for my book, the cover was printed completely off center. This was the weirdest experience because I didn’t know how to fix it or why all the books were being printed wrong. We finally got it fixed and I love the way my books look! The best part is the opportunity that it provides to get the word out via print, social media and traditional media. I think the declaration that I was going do it and have it done by a certain date contributed the most to me becoming a best-selling author. By declaring it to the world, it made me show up and do the work necessary. My pride wasn’t about to be bruised. Which writer or leader has had the biggest impact on you as a writer? Why? Tharve Eker, when I first read his book 6 years ago, I realized there was a career in writing and speaking. What was the biggest challenge you faced in your journey to becoming a bestselling author? How did you overcome it? Can you share a story about that that other aspiring writers can learn from? Writers block, I was just stuck. I didn’t know what to say about this particular subject even though I had the chapter named already. I just starred at my computer for hours, so I told my editor my problem and she told me to try recording what I want to say about the topic and getting it transcribed. It made it so much easier being able to just talk to someone instead of thinking what to write. If you can’t find anyone who likes your idea for a book there is always a way to write your book. If you want to do it, just do it, even if you have to fund it yourself. The one thing is that it does cost money, so you have to find a way to monetize your book before it comes out and find a way to get the most free PR on your own. -Think bigger, I thought because I grew up with a dad in jail that I would never be able to have financial freedom, I thought it was normal to struggle with money so I took actions that met the struggle life. If I would have just thought outside of the box sooner about all of my gifts and all of my talents and how I could use that to create financial freedom I would be much farther than I am now. I thought that average was the dream and I wish I would have known that anything you can dream of you can achieve. -The only limitations in life are the ones you’re putting on yourself so release them. I thought I couldn’t be a successful business owner because I didn’t go to business school, but that was a story I told myself. The more successful people I was around, I learned none of them had their MBA’s either, they went to the school of hard knocks. -Don’t wait for other people to validate you or your gifts, validate yourself and get moving. I wanted to become a thought leader and for several years I was waiting for the day for someone to come up to me and tell me it was time to become one. No one ever showed up and said Cayla it is your time to become a thought leader. I saw all these people around me in the space doing what I wanted to do and thinking what do I need to do to get there and I finally realized I just needed to show up, so I did. -The only way you’re ever going to get confident is by doing the things that scare you, do something that scares you every single day. You’re never going to feel good about yourself by staying in your safety net. So, if you continue to do the same things that look easy that your friends and family did, you’re never going to be happy because you know you have a bigger potential so choose to do the hard thing even though it’s scary and it even might be painful. Whenever you learn or try something new, you gain confidence because you realize that you are capable of so much more than you have been doing and the thing that owned you doesn’t scare you anymore. -The next thing I wish I would have known was to not take anything personally. Nothing anyone does or says is because of you take radical responsibility of how you show up in the world. If someone tells you that you can’t do something it’s more a reflection of their personal reflections not yours. When I first started my business, I used to take things so personal when people said no. I used to think that people didn’t like me and that affected me for like a year and really held me back from accomplishing so much and ruined a lot of my relationships. Now, when people tell me no, I know I’m that much closer to someone telling me yes. I am most excited to be working on my mastermind and helping other women achieve their dreams. I am most excited to read AI superpowers by Kai-Fu Lee. Movement of action, I want to inspire people to do the things that they actually say that they are going to do.